The writer is an educationist with an interest in the study of religion and philosophy. HUMAN beings are as much emotional as they are rational beings. In our ordinary life, we generally behave more emotionally than rationally. Like reason, emotions have the potential to harm and also to do immense good for self and others. Emotions become particularly important when it comes to religion and religious beliefs and sentiments (as my previous article on ‘The heart’, published on Oct 5 in this paper, argued). While a religious believer needs to be far more sensible and compassionate no matter what the provocations are, practical life evidences show that it is largely not the case. This contradiction is an amazing phenomenon witnessed every day. What are human emotions and how do they affect our life? Emotions are like a force — used or abused. Associated with the heart, emotions are often seen as key to our decision-making. They are like a powerful energy to be used to accomplish powerful things. Or, used destructively, they are like a fire engulfing everything in its way. We are recognised by what we practise in our lives. Emotions are categorised as of two types: positive (such as peace, harmony, and compassion) and negative (such as anger, envy, and vindictiveness). Social psychologists have, for simplicity, metaphorised positive and negative emotions like a bank account; positive emotions being like deposits and negative emotions as withdrawals. If emotions are used positively (such as to show compassion, manage anger effectively), our savings account accumulates, charged with deposits and their multiplier profits. On the other hand, if emotions are expressed negatively (showing animosity, jealousy), it means that we are withdrawing our hard-earned savings, thus depleting the balance. Many scientists dealing with emotions claim that human success often depends, not so much on intellectual capacity, as on emotional maturity. Daniel Goleman, the author of the New York Times bestseller Emotional Intelligence, has created a revolution in the study of emotional intelligence. Emotional intelligence, in Goleman’s words is: “…being able, for example, to rein in emotional impulse; to read another person’s innermost feelings; to handle relationships smoothly, as Aristotle put it, the rare skill ‘to be angry with the right person, to the right degree, at the right time, for the right purpose, and in the right way’”. Emotions are employed in almost all walks of life, but in the practice of faith or religious following, the role of emotions assumes prime importance both positively and negatively, leading to both peace and strife, depending on the purposes they are awakened for. The purpose of religion, all religious people claim, is to teach peace, love, compassion, and love for the ‘neighbour’. Yet, some show least tolerance when it comes to religious or social sensitivities. 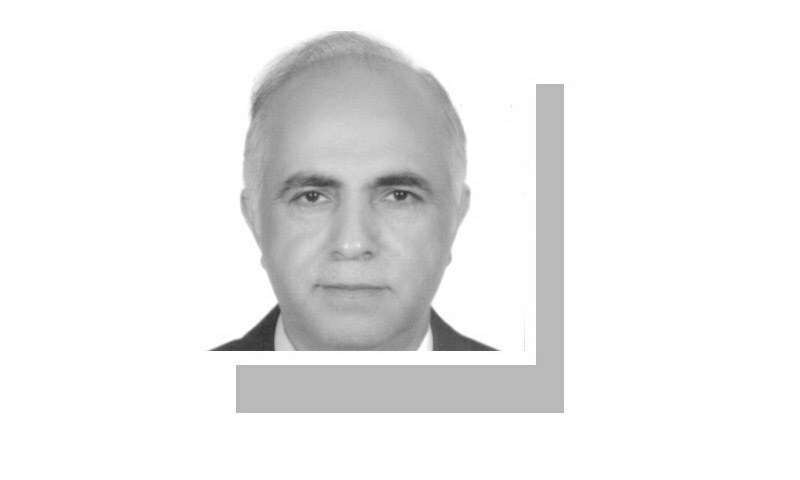 I remember an incident around 2001 when around 100 people of a particular community in Karachi went to a particular neighbourhood of another community and broke all the windows of the parked vehicles, ransacked the community centre and walked away in a celebratory fashion — a type of incident not unknown or unusual in the city. The ‘rumour’ (it was truly a rumour as proved later) was that one of the community members had allegedly violated the sanctity of a paper of a sacred book. This conflict between what we know/ profess and what we actually demonstrate, characterises our behaviour. We tend to forget ‘actions speak louder than words’; we are recognised not so much by what we can quote from sacred literature, but by what we actually practice in our daily lives. When it comes to the safety and secu­rity of Muslims, and other human beings as God’s ‘family’, our traditional books are replete with discussions about them. Suffice it to refer to a tradition in which the Prophet (PBUH) is reported to have defined a (true) Muslim as one from whose tongue (verbal abuse) and hands (physical cruelty) Muslims (and others) are safe. Let people recognise Muslims by their habit of forgiveness and compassion rather than vindictiveness and an inclination to harm. I conclude this reflective piece with a Quranic verse that inspires us for healthy competition, not in polemical debates, but in good deeds. The verse says, “…Had Allah willed He could have made you one community. But that He may try you by that which He hath given you (He hath made you as ye are). So vie one with another in good works. Unto Allah ye will all return, and He will then inform you of that wherein ye differ (5:48)”. We will take home the message from this verse that it is not the claim to be superior but the actual good deeds that are valuable. What a great article and our expression of religious emotion in wrong way has created a bad image our great religion in developed countries . Unfortunately your message will not reach 99 per cent of people and I wish the Urdu translation could be published in Urdu news papers. Love for the "neighbors".The best line in article. True that but sometimes emotions mostly in politics and religion highly fuelled and ignited by those carry hidden agenda/vested interest. Wonderful! Emotionally, this article takes me to the Kate Chopin quote:"The voice of the sea speaks to the soul. The touch of the sea is sensuous , enfolding the body in its soft , close embrace" In the emotionally charged short story " The Story of an hour" by Kate Chopin", the crying wife , seeing her husband come home safe and sound, falls down in surprise and dies instantly making a piercing cry. When the doctors come they declared she had died of heart failure due to the warmth of 'joy that kills'!